Probably originally part of the Great George Hotel as the cellars extend under this building and the adjacent 5A. The basement has a Tudor arch. A reused ship’s mast goes through the house as a newel to the spiral staircase. The tiles in the fireplace were made by W Goodwin, Lugwardine, Hereford. The factory closed in 1800. 2015: January: Divalution hair studio also burnt out in fire affecting next door. 1988: Mufty, Victorian Clothes & Antiques/ Delma’s Ladies hair salon. 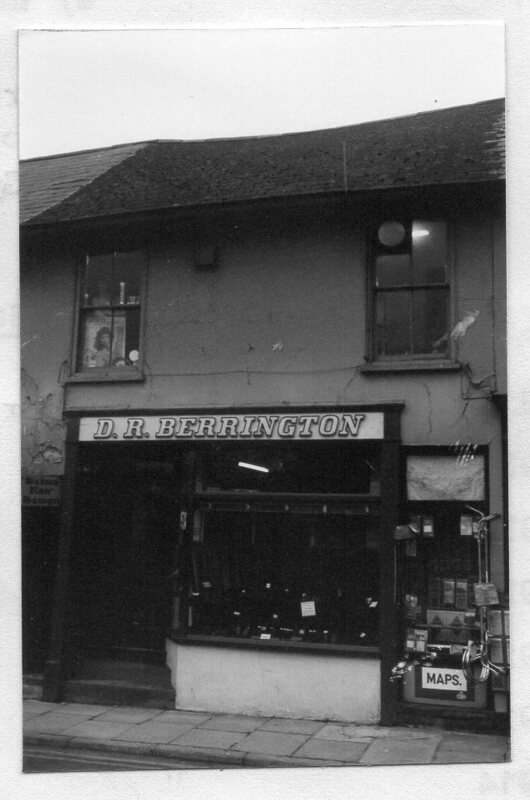 1950- 1982: ground floor, Boot sale & repair proprietor D R Berrington; first floor, Delma’s ladies hairdresser. 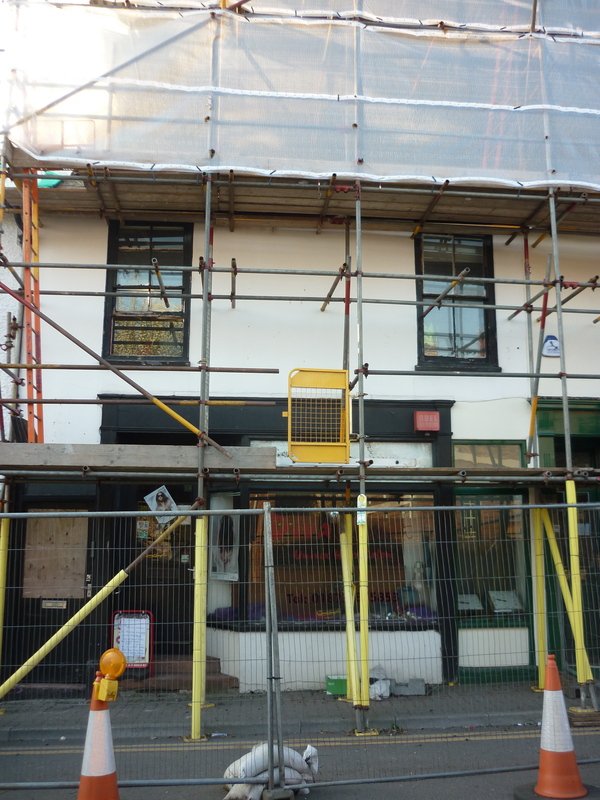 Mr D R Berrington stated that the fittings of a butcher’s shop owned by Denner were still there in 1950. D R Berrington worked as a boot maker for his father who had been employed by H Gwyther, his brother-in-law. The Gwythers lived across the road at no 12.